Ronald Brown's Evidence: A Dance Company, from Brooklyn, and the Mikhailovsky Ballet, from St. Petersburg, Russia, couldn't be more different. Or could they? Both have had recent/current runs in New York. And both, in their own ways and on vastly different scales, told stories of the past with unique communicative genres of dance. The Mikhailovsky performed Giselle and Flames of Paris in its first week at the Koch. Its production of Giselle feels familiar to the production performed by ABT. The backdrops are painted a little more realistically, and the foliage rises and falls, revealing and hiding Myrta and Giselle, and also alluding to the supernatural setting of the woods. (The elegant Borzois seem to be the same pair, however.) Natalia Osipova is the epitome of a Giselle, radiating innocence and sweetness at the beginning, and descending into a catatonic state of madness. Famous for her ballon, she appears weightless in jumps and when lifted by Leonid Sarafanov (the Count), who spears the air like an arrow when he leaps. Flames of Paris (1932) is an oddity—to Americans, in any case. It was commissioned to mark the 15th anniversary of the Bolshevik Revolution. Set in 1792, in a suburb of Marseilles, and in Paris, it's a simplistic account of the clash between classes. It switches locales from a marquis' ballroom to the streets of Paris, and from swanning bourgeoisie in velvet to peasants in clogs bearing the tricolor. One problem with the concept of the revolution is that it's supposed to be about the people, so pulling out principals to perform impressive solos and duets goes against principle. And yet, Angelina Vorontsova and Ivan Zaytsev led the cast with, respectively, delicate pizzicato steps and flying, muscular leaps. The peasant crowd scenes were the most energetic, with rousing folk dances (including an adorable little girl who kept up with the steps) and representatives from different ethnic segments of the country. The ballet will most likely not be adopted by non-Russian companies, so its rarity gave a viewing all the more urgency. * The emphatic statement, which can be a phrase that includes some gesture to convey specific concepts. In One Shot, one example was two hands clawing the air plus a fishing rod gesture. * Traveling moves, which get the dancers from one place to another; these can feel ceremonial or just fun. * Marking time, providing a breather in action while reinforcing the music's pulse. Broadly, ballet is not all that different. Mime and gesture play a big part and are used to denote a specific action. Waltz steps can behave in a similar way to the bass line, following the music while the upper body has its own set of complementary moves. There are many traveling steps in ballet, some small, like bourées; others big, like grand jétés. Brown's One Shot (2007) is an homage to Charles Teenie Harris, who documented life in Pittsburgh. It includes many of his photos of his projected behind the dancers. We get a glimpse of prosperous folks in the mid-20th century—beautifully dressed, and sometimes downright glamorous. Most of the subjects are black, although there are several group shots that include whites as well. There's a feeling of elegance and conviviality. Evidence's dancers are dressed in an approximation of the photographs' feel. They showboat, flirt, social dance, enter the military, and return. To Lena Horne singing, Coral Dolphin has a lovely solo, showing her silky style and a burning intensity the radiates through her cucumber-cool exterior. Annique Roberts, as always, rewards viewers with a boneless, impressively economical way of dancing. The company, clad in denim, led off with Come Ye: Amen (2002), an energetic work to the music of Fela Kuti. 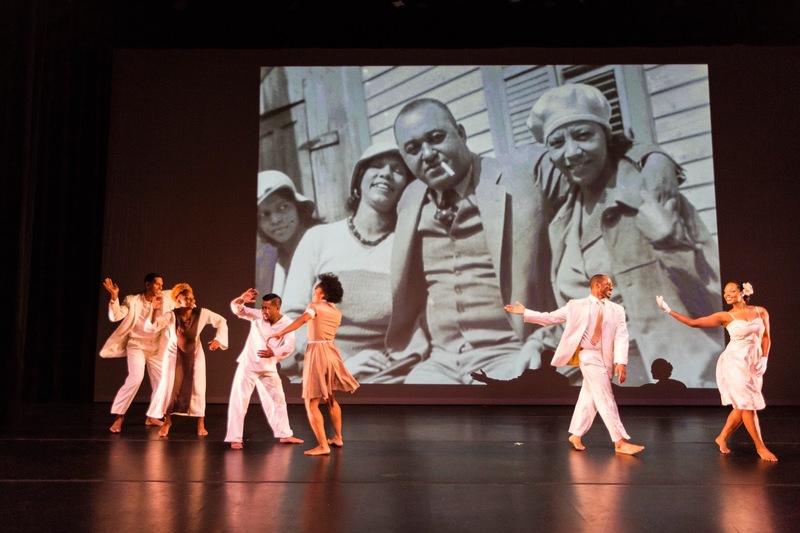 Brown's choreography is wondrously consistent in connecting with the audience and conveying a constant stream of storytelling. 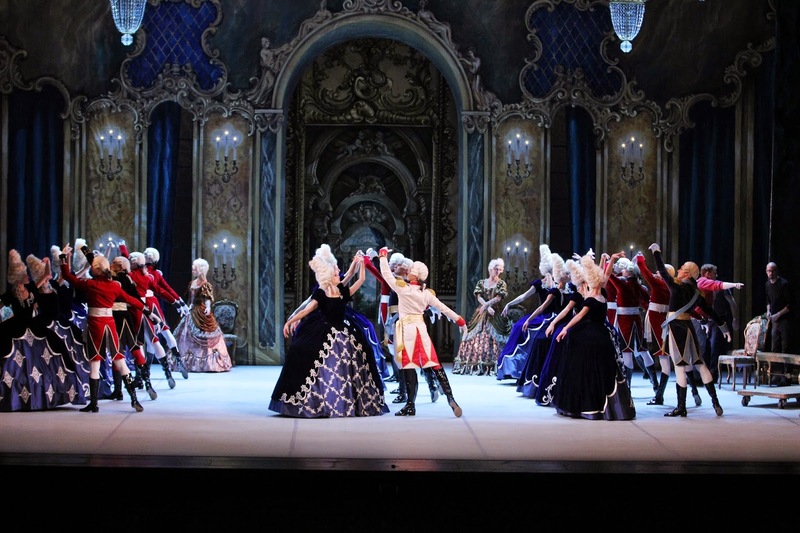 The grand spectacles of the Mikhailovsky (which continue through this week) similarly grasp viewers' attention, with the help of lavish sets and dozens of dancers. Both in one week is a major gift for dance fans.